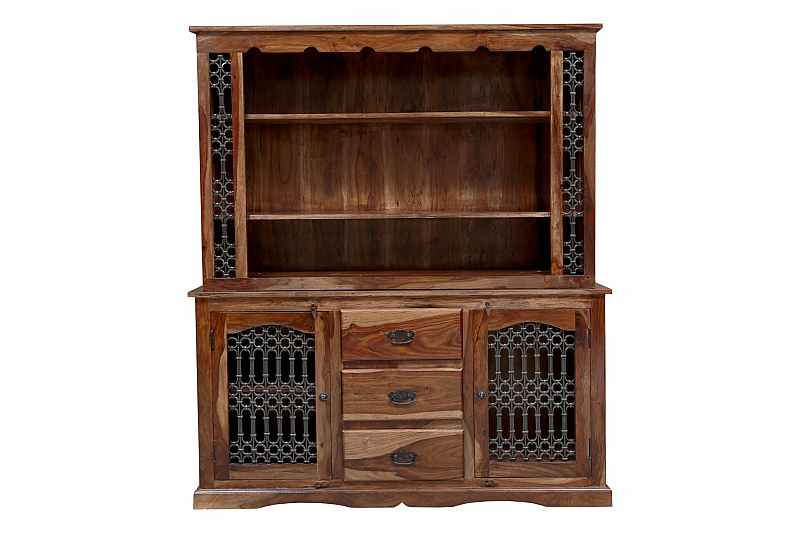 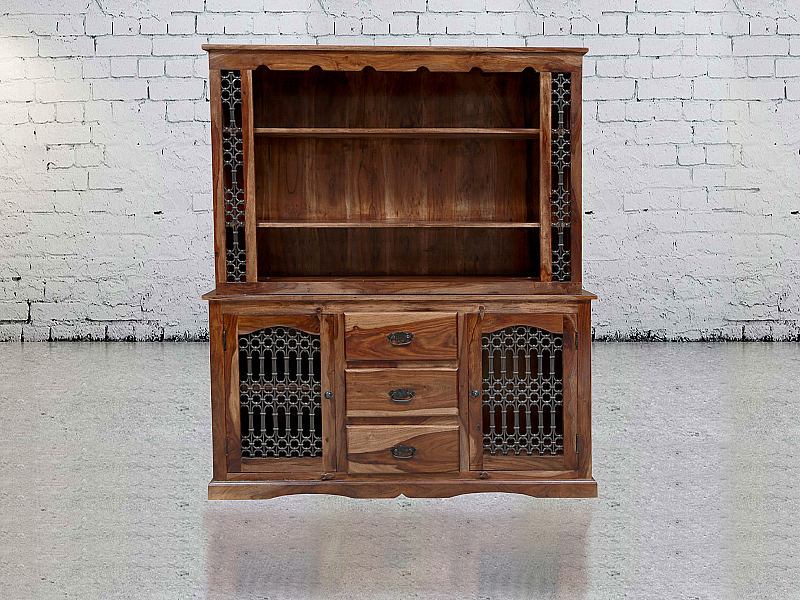 ETHNIC DESIGN SOURCE "TAKHAT" style IN THIS Hutch CABINET. HAND TWISTED WROUGHT IRON JAIL IN cabinet DOORS AND in front of bookshelf GIVES STYLE AND AESTHETIC APPEAL TO THis gorgeous HUTCH CABINET. 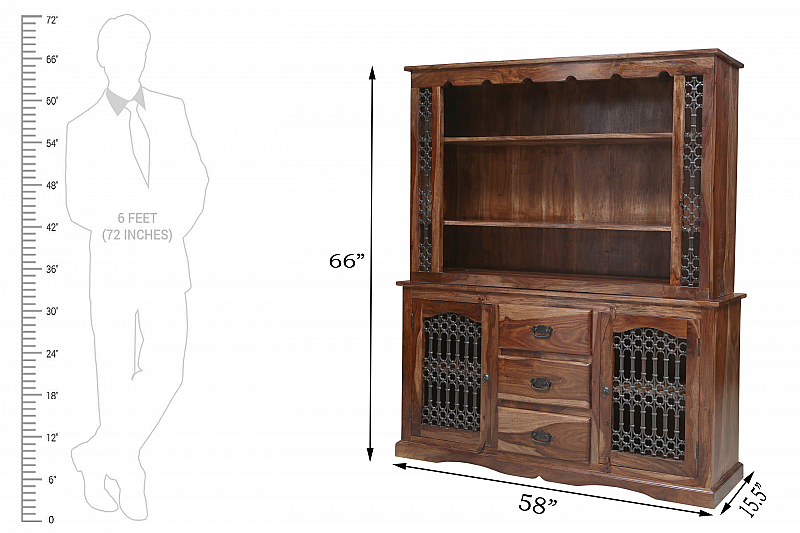 Delivery Condition :- Delivery in Two Parts and Assembled by Buyer.